Before starting today’s article, I want to bring to your attention that given the time of year, it’s a good time to consider tax-related Precious Metal transactions that could be highly beneficial to your portfolio – and simultaneously, enable you to optimize it, given recent market movements. 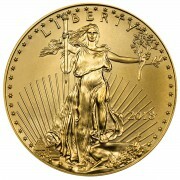 Which are, year-end tax swaps to capitalize on losses your physical gold, silver, and platinum holdings might hold. Year to date, dollar-priced paper gold and silver prices are down by 5% and 3% respectively – and thanks to the Cartel, 42% and 69%, respectively, since peaking in 2011. Thus, most Precious Metal holders have significant losses to consider – which fortunately, can be capitalized on with year-end tax swaps. In April’s “swaps, trades, and repatriation” podcast with Miles Franklin’s President and Co-Founder, Andy Schectman, we discussed how easy such transactions can be to enact. And given that, generally speaking, commodities are exempt from the “wash sale” rules applicable to financial assets, investors have the ability to “take losses” in prior Precious Metal purchases without having to wait a month to re-enter the market. Moreover, given how the gold/silver ratio remains near its all-time high, with silver fundamentals as positive as they have been in memory; many – like myself – have taken advantage of the tax swap opportunity to re-allocate some of their PM holdings from gold to silver. 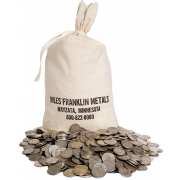 To that end, if you have any questions regarding the costs and process of such trades, please give Miles Franklin a call at 800-822-8080; or, if you prefer, email me at ahoffman@milesfranklin.com. It may well do so anyway – as given “Economic Mother Nature’s” increasingly powerful performance in the “war for reality,” the odds of a total loss of manipulative control are increasing exponentially. Moreover, as I espoused two months ago, the “only financial event that could be as cataclysmic as a significant Yuan devaluation” would be a Federal Reserve rate increase – given how, in essence, the entire global fiat Ponzi scheme is dependent on zero interest rates for survival – or, more aptly put, to simply enable it to “kick the can” those last few feet. Well, that and 24/7 manipulation of all financial markets, economic data, and monetary commentary. In other words, the latest “imminent rate hike” commentary (which may be intensified by today’s speeches from the Fed’s “Big Three” of Yellen, Dudley, and Fischer) is “only making things worse” – particularly as it has not been accompanied by the slightest improvement in global economic activity. Or, for that matter, “hope”; “optimism”; or frankly, anything that would cause expectations for tightened monetary policy – and certainly not yesterday’s ugly factory orders report, or this morning’s similarly weak ADP employment report. Notwithstanding this week’s comical “oil PPT” attempt to save the dying global oil industry – in pushing WTI crude from $43.50/bbl to this morning’s high of $48.30/bbl, despite not a shred of positive news (including last night’s report of the fourth straight weekly API inventory build, and fifth in six weeks), global commodities remain mired near multi-decade lows; and with them, the vast majority of currencies. That said, it’s not the first time this pathetic, newly formed “organization” has attempted such blatant upside intervention – such as last month’s equally enigmatic seven-day surge from $44/bbl to $51/bbl, on an equal lack of positive news. And likely, not the last – as clearly, the government’s algorithms are working just as hard to “save” oil as they are to save stocks – the latter of which, are now trading at their highest valuation since the stock market peak in late 2007. Which, I might add, was during a time of peak economic optimism; surging economic data; dramatically lower debt and margin; and oh yeah, rising corporate earnings. As opposed to now, when S&P 500 earnings are down 7.5% year-over-year, with forward looking guidance amidst a dramatic decline that will only worsen as the impact of collapsing commodity prices expands into 2016. Ah, that “fuzzy math” the U.S. government is so famous infamous for – and apparently, the New York Times as well – in claiming that said $439 billion the lowest in Obama’s tenure. Which, “coincidentally,” is almost exactly $339 billion lower than the aforementioned $764 billion increase in the national debt during this period – which, “coincidentally,” wasn’t reported until a few weeks after the September 2015 fiscal year’s books were closed. Better yet, the government – and New York Times – claim the September 2014 “budget deficit” (excluding “off balance sheet” items, of course) was “just” $484 billion – despite the fact that the National Debt rose by $1,075 billion during that period. Pray tell, how can debt rise by $1,075 billion if the difference between “revenues” and expenses is just $484 billion. And by the way, now that the government’s new “unofficial” debt “target” is roughly $19.6 trillion by March 2017, the implicit assumption is that an additional $1,108 billion of debt will be added in the next 16 months – or $831 billion per year, on an annualized basis. Which, given the government’s unbroken string of “debt ceiling” breaches – and subsequently, “temporary” debt ceiling “freezes” – makes it painfully obvious that yet another $1 trillion shortfall is anticipated in both the 2016 fiscal year, and the first half of the 2017 fiscal year. And no doubt, the oxymoronically named “Congressional Budget Office,” or CBO, assumes the Federal Reserve will maintain interest rates at zero to enable such a gargantuan, parabolically expanding debt to be serviced – let alone, repaid – which is exactly why QE4 not only should, but must be announced sooner rather than later. Not to mention, as foreign governments have been selling historically overvalued U.S. Treasuries – to defend their collapsing fiat currencies – at a record pace. As for “only making it worse” in the “alternative currencies” realm, I find it more than a bit interesting that Bitcoin has been surging lately – from $233 a month ago, to $296 three days ago, to $455 earlier this morning – as compared to its all-time high of $1,095 from November 2013. Are Bitcoins money, you ask? Certainly not, when utilizing the time-honored definitional parameters that have governed transactions and wealth storage for millennia. However, they certainly may be viewed – by some – as a “safe haven” amidst the upcoming fiat currency storm; or perhaps, if Zero Hedge’s theory is correct, growing fears of Chinese capital controls. Of course, no “alternative currencies” should perform better under such conditions than gold and silver, as they not only have been the only asset classes to define money over the centuries, but are widely encourage by the Chinese government to buy. And oh yeah, Chinese citizens most certain are in the physical markets – as Chinese gold demand is set to shatter 2013’s record level, by at least 10%. And whilst Chinese silver demand is not transparently reported, Indian silver imports are – and FYI, are understated due to the massive “black market” that has developed to circumvent the still-in-place, onerous import tariffs imposed in 2013 to – LOL – “protect” the value of the freefalling Rupee. Which, last I looked, was back down to its record low level. Not to mention, as non-Black Market Indian silver imports are set to break their previous high, set in 2010, this year! Then again, there is no “Bitcoin Cartel” – yet – that relentlessly “caps and attacks” prices on a 24/7 basis; although some, like myself, believe government intervention may have been involved in the historic early 2014 crash; i.e., when “Bitcoin Fever” reached its previous fever pitch. Which, by the way, when Bitcoin does finally enter global governments’ “radar” as a threat to fiat currency – the way gold did centuries ago – it may actually be attacked 24/7, given Bitcoin never “closes” for the day or weekend. In my view, Bitcoin is currently viewed by governments as a “curiosity,” to be watched but not explicitly intervened in, until such time as it is perceived to pose a direct threat. Kind of like the Borg from Star Trek, for all you Trekkies out there. But trust me, if the current price surge leads to a second Bitcoin “fever pitch,” don’t be surprised if it, too, is invaded by (government-wielded) high frequency trading algorithms seeking to prevent it from meaningfully rising. Of course, unlike gold and silver, Bitcoin is just another form of “fiat currency” – even if said “fiat” was created by the benign “Satoshi Nakamato”; who, I must emphasize, is not necessarily a real person, and not necessarily “benign.” And if you think the number of Bitcoins is truly “permanently capped” at 21 million – like fiat dollars under the Bretton Woods agreement, until the U.S. unilaterally reneged on it – I have a bridge to sell you in Brooklyn. Irrespective, governments are experts in finding ways to “short” paper assets “to infinity” – and hacking online depositories, I might add. Thus, the barriers to Bitcoin becoming a store of value – even if it indeed becomes a widely used transactional currency – are as long and daunting as its brief history of both functionalities are short and checkered. And thus, like mining shares and other “paper PM investments,” if you choose to speculate in Bitcoin, I wish you the best of luck. However, the odds of it providing a long-term savings vehicle like physical gold and silver are extremely low; even if, of course, it is eminently possible. As for mining shares, no sector epitomizes “they’re only making it worse” more. As, per what I’ve been writing for the past four years, the more the Cartel terrorizes gold and silver prices – and mining shares – with naked shorting, the more dramatically the mining industry that underlies said “paper investments” moves closer to collapse. Earlier this year, I wrote of how the catastrophic damage to 2014 mining balance sheets (that, and a decade of fruitless exploration) essentially ensured “peak gold” in 2015. Which, just a few weeks back, none other than Goldcorp confirmed. And given the utter implosion of copper, lead, and zinc prices, it appears the same is on tap for silver – with the potential for far greater production declines, given that roughly half of all silver production is the byproduct of copper, lead, and zinc mines. Six weeks ago, I followed up said “peak gold” article with the “future of gold and silver mining, in simple pictures” – in which, I highlighted the catastrophic collapse of large and small mining share prices alike, as a direct indicator of their intermediate-term operating outlook. And not just for earnings, but the “pink elephant” that is the massive, balance-sheet destroying write-offs awaiting at year-end unless gold and silver prices dramatically increase by then, to levels well above not only the marginal cost of production, but the industry’s long-term cost of sustainability (i.e., prices that enable not only enable short-term profits, but spare cash flow to actually explore for – and equally importantly, find – reserve-enhancing deposits). Well, thus far the third quarter earnings – for both gold and silver miners, although there are far fewer “primary” silver miners to gauge – have only enhanced this point, in spades. Thus far, only Newmont Mining among the world’s largest producers has reported a third quarter profit – and that, a measly $126 million – with all the others reporting losses. 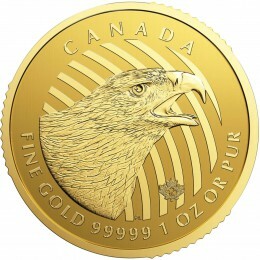 And this, with average third quarter prices of $1,122/oz and $14.82/oz, respectively. And trust me, if the world’s largest miners – with the world’s lowest cost mines – are hemorrhaging money, the vast majority of the rest are bleeding red far more profusely. And FYI, LOL, all the major miners still report “cash” and “all-in” costs well below current prices, despite the fact they are losing money. Kind of like the government reporting “budget deficits” way below the amount of actual debt incurrence. Anyhow, as we all await the “next shoe to drop” – in the global economy, financial markets, and the mining industry alike – it’s incredible to believe that physical gold and silver are still available at such historically low prices. Which, I might add, this summer’s dramatic retail silver shortages – let alone, the epic shortages of 2008 – highlighted just how fleeting such supply availability can be. And thus, as “the powers that be” are “only making it worse” each day, we can only implore you, as vehemently as ever, to PROTECT yourself, while you still can. Most commenters re: “the gold price” and systemic manipulation in recent months have increasingly seemed to be approaching the truth. But they’re not there yet. Today we heard that Comex leverage is at 298-to-one. Shock! But the fact is that it could go to 10,000-to-one and nothing would change. The betting shop is immune; because it is effectively impossible, no one will ever be able to claim all the bullion from the Comex. “Players” there are not the slightest bit interested in acquiring metal. They want paper dollars. They want “yield”. They are betting on the gold price” – that’s all – and their cumulative bets are permitted (and needed!) 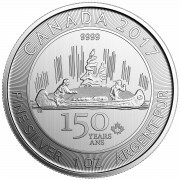 by government to set the price of the real metal. Thousands of tonnes of actual gold are being traded outside the US, all over the world, every year and all that activity has ZERO effect on “the gold price”. Are you telling us that you have never, in your entire life, charged something on a credit card that you could have paid for with cash? I think that’s my point. They may “account” for their spending as $484 billion, but the debt incurred was $1,075 – which all must be paid back. Andy. All of the central banks of Europe, England. japan, and USA are analogous to gang members. They will not pay back what is owed. Instead they will go to war with their creditors. Are you ready for nuclear war? Have you ever watched “The Colony” I wish I could find a bug out location like that. I am a pharmacist and our pharmacy can do 700 prescriptions a day. The corporations have turned us into robots. USA incorporated has gone over the deep end. It is ok to destroy the mines or what will be left for your ancestors 500 years from now. “”Somewhere in the universe there must be something better than man” it is time to watch Planet of the Apes again because that is what we are. We will destroy each other over greed and lust and sport and I will add another FEAR. Sorry not ancestors but future gene pool.